By DR. JOSEPH NEEDHAM. F.R.S. After some lapse of time, the opportunity again presents itself of continuing the series of articles on science in China in war-time, of which seven have already appeared in Nature. In this and the following article, on China’s far south-east, I shall be describing an area which I visited in the summer of 1944, just before the tide of war overwhelmed nearly all of it, wrecking many scientific installations and forcing many of the scientific workers I met to take to the roads in evacuation or to the mountains in dispersal. Taking the city of Chungking as the central point of China this area is China’s south-eastern quarter, To enter it, the traveller must follow the southern road from the capital, winding over half a dozen passes through the protecting mountains, until he reaches Kweiyang, the capital of the relatively barren and rocky province of Kweichow. A few hundred kilometres south-east of this city is Tushan. the rail- head of the uncompleted Kweichow-Kuangsi railway, and here he may entrain for the descent through mountains wreathed in cloud to the fertile plains and rolling hills of Kuangsi around the city of Liuchow. The capital of Kuangsi is, however, farther east, at Kweilin, amidst that extraordinary scenery of ‘Karst’ limestone pinnacles arid sugar-loaf hills rising abruptly out of the plain which Justifies to the incredulous foreigner the fidelity of Chinese scroll-paintings. Thence the railway goes on the east, baring north to Hengyang and then south to the temporary railhead at Kukong in Kuangtung. Between Chungking and Kweiyang at a small town called Tsunyi is to be found Chekiang University, one of the best four in china. Housed largely in old and dilapidated temples, there is not enough room for all of it at Tsunyi, so the scientific faculties are situated at of very pretty and very small town, Meitan, some 75 km. away to the east. It is typical of the preset transport situation in China that although the University started with three trucks and a car to maintain its communications, al1 have long ago broken down and are unrepairable and unreplaceable so that eminent and aged scholars such as the deans of faculties on their necessary journeys have to perch on the top of loaded army trucks on a trip which may take two days over a road passing through very few inhabited places. The president of Chekiang University is Dr. Chu Ko-ching, China’s leading meteorologist, who is con-currently head of the Academia Sinica Meteorological Institute. At Meitan one finds a hive of scientific activity. The Biological Department, headed by Dr. Bei Shih-Chang a pupil of Spemann Harms, and Hertwig has been working on induction phenomena in regeneration in coelenterates insect hormones, etc. Here also at the time of our visit was the eminent geneticist Dr. Tan Chia-chen, whose work on the curious colour-pattern inheritance in ladybird beerles is now arousing much interest in the United States, where he has gone for a year’s visit. 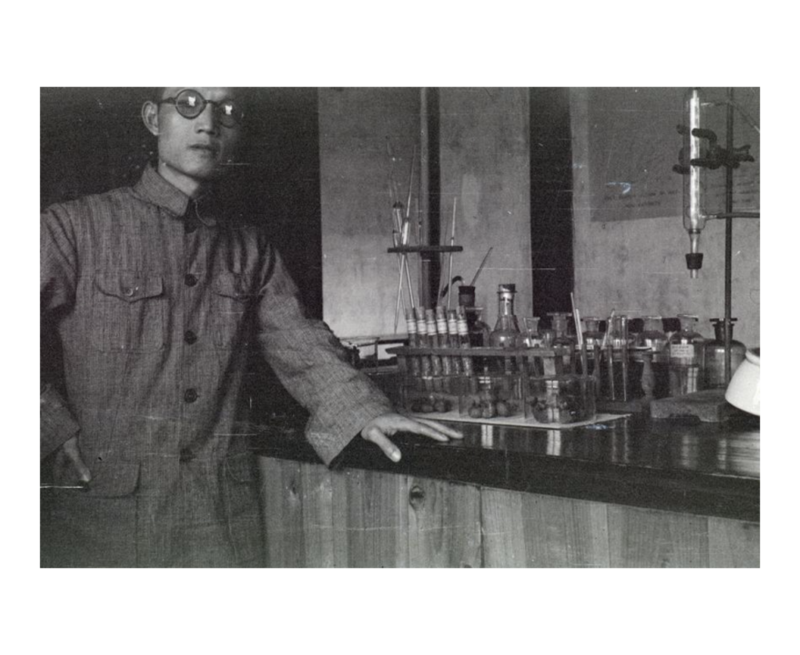 In chemistry there are Dr. Wang Bao-Rjeng (a pupil of J. F. Thorpe’s), working on sulpha-drug derivatives (some of which have been found to be active as plant- growth hormones) and Dr. Wang Chin a specialist on microanalysis and the history of Chinese alchemy. This very active-minded group is completed by Chang Chi-Kai, a German-trained specialist on local anesthetics and by Sun Tsung-peng, American trained biochemist. In physics, work is proceeding mostly on theoretical lines owing to lack of apparatus in nuclear physics, geometrical optics, etc. ; but the level is distinctly high (Drs. 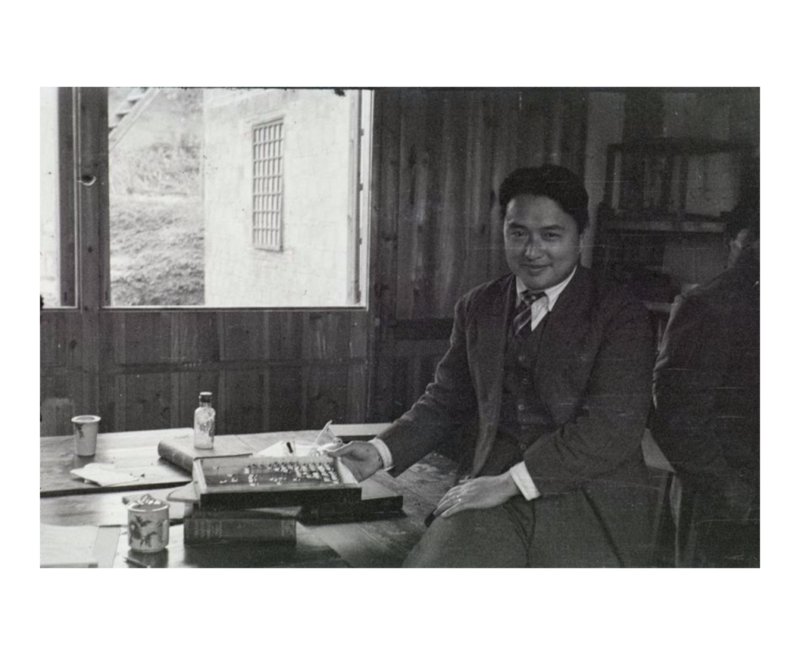 Wang Gan-Chang, an Edinburgh man, Ting Hsu-Bao, Ho Tseng-lu a pupil of Millikan’s, and the promising Cheng Kai-Djia). There is a special mathematical institute directed by the geometer Dr. Su Bu-Chin. The Agricultural research institute, with a large area of experimental plots is also doing much work. Dr. Lo Teng-Yi in biochemistry has discovered a high vitamin content in the large hips of the local wild rose Rosa multiflora (20 mgm. ascorbic acid per gm., and 30 mgm. vitamin P per gm. ), and some 35 mgm. per gm. of vitamin P in the Chinese ‘date’ Or ‘jujube’ as it should be called. Zizyphus vulgaris. Dr. Bai Han-Hsi in the fermentation division, is studying the interesting Kweichow ‘barm’ used in malting the famous ‘mao-tai’ wine, which, besides its yeast, contains no less than twenty-eight special added drags, some of which accelerate saccharification while others probably inhibit contaminating micro-organisms. This recipe is an extraordinary example of a procedure with centuries of trial and error work behind it, ensuring good results under country conditions where no sterilization precautions are taken. It even has a war importance, for a certain proportion of the power alcohol used by Allied military trucks upon the roads of China is distilled from spirits prepared in the traditional way by the farmers and brought to central distilleries. In soil science under Dr. Peng Chien, investigations on soil pH are in progress, and on trace elements nickel zinc etc., with special reference to tea, legume, and vegetable culture. In Tsunyi, there is also the All-China Agricultural Research Institute, where very solid work, led by Dr. Tsai Bao, goes on. At Kweiyang, a larger town than either Tsunyi or Meitan we found a number of scientific organizations. 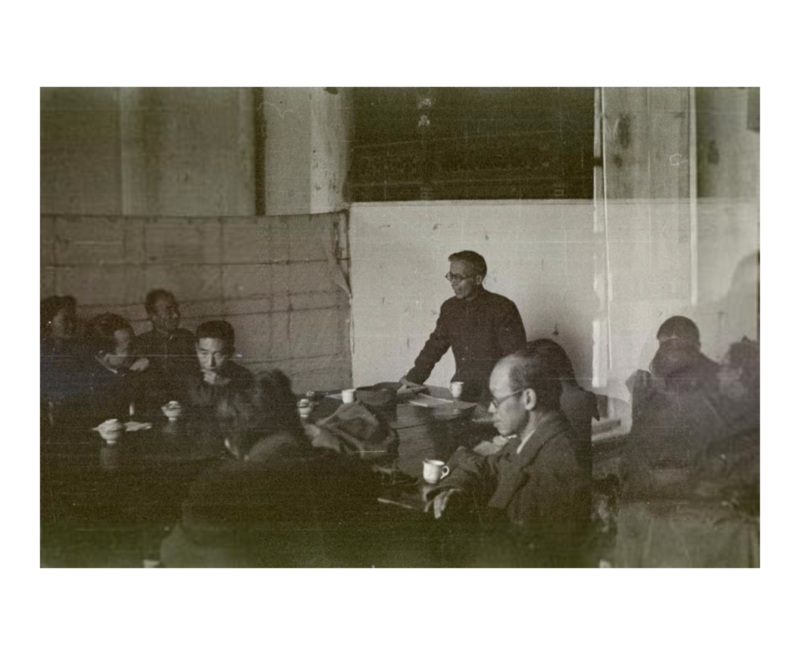 The largest was the Army’s Emergency Medical Service Training School in a beautiful wooded valley among hills called Tuyunkuan ; but besides this there were two civilian medical schools, Hsiangya Medical College and Kweiyang Medical College. There was also the Kweichow University situated some 20 km. to the west of the town in the famous park of Huachi. There was a branch vaccine laboratory of the National Epidemics Prevention Bureau, a branch of the National Agricultural Research Bureau, a number of important industrial enterprises including a low- temperature carbonization plant and a chlorate plant, and several plants of the Ordnance Administration. About 150 km. to the west, at a pretty town called Anshun, there was the regular Army- Medical College. Finally, within Kweiyang city, there was the Provincial Science Institute. Among such a wealthy of worthwhile Institute, there is space to mention only a few salient points of interest. The Tuyunkuan College was originally organized by Lieut.-General Robert Lim (Ling Ko-Hsing), the internationally known Edinburgh physiologist. It trains all grades of medical workers for the army, alternating laboratory courses with experience in the field. Dr. Chen Wen-Kuei’s model vaccine plant and bacteriological laboratory deserve mention; Dr. Ling Fei-ching is studying the penicillin productions of the indigenous strains of Penicillium. An interesting and valuable X-ray apparatus repair station (the only one in China) is directed by her husband. Dr. Rjung Tu-Shan.? In teaching chemistry, Dr. Li Kuan-Hua has organized extremely ingenious Semi-micro methods which it was a pleasure to see in use by his classes. The reagent sodium tungstate was being manufactured here. 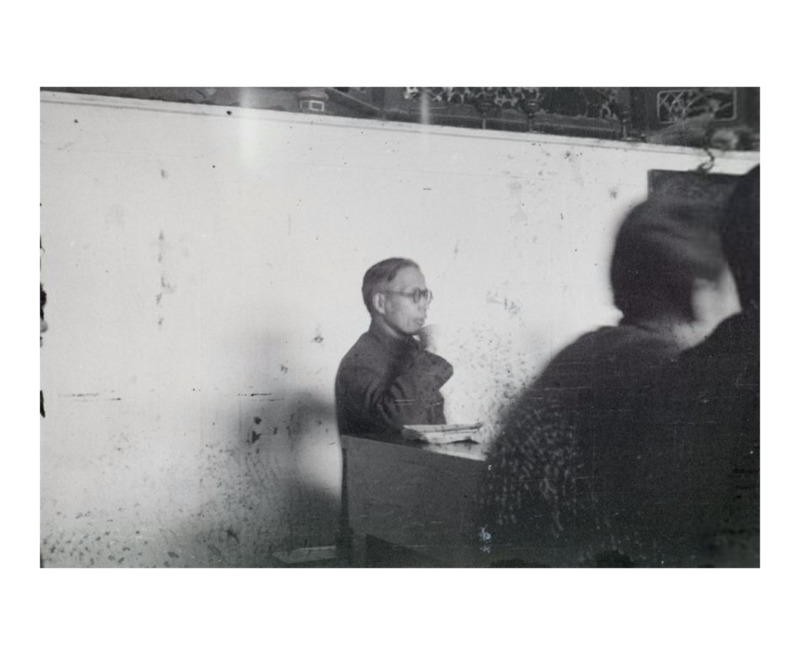 The Hsiangya Medical College (Dean chang Hsiao-Chien, a pupil of Krogh’s) had some wretched buildings ; but excellent men, such as Dr. Ching Wen-sse the pharmacologist, studying the Chinese drug ‘Yadantze’ which has an emetine-like action in dysentery. The Kweiyang Medical College (President Li Tsung-En, trained at Glasgow) has the distinguished pathologist Dr. Li Yi. and among her colleagues the American-trained embryologist Dr. Chang Tao-Gan. The psychiatrist Ling Ming-Yo) represents to field hitherto little cultivated in China. Both these medical colleges were running up-to-date teaching hospitals. Two of Zinsser’s pupils in Kweiyang, Dr. Wei Hsi, of the National epidemics Prevention Bureau branch laboratory, and Dr. Liu Pin-Yang of Hsiangya, were engaged upon a very interesting project, namely, the cultivation of typhus Rickettsia bodies in the eaelomic fluid of silkworm larvae and pupae (in which good growth is obtained.) instead of the yolk-sac of the cheek embryo. If this method could be used successfully, it would greatly simplify the preparation of the Cox vaccine under Chinese conditions, where incubators are not available but silkworms are. The regular Army Medical College at Anshun (director, Lieut.-General Chang Chien) is located outside the town on an airy Moorland in a spacious old Ching dynasty Barracks, with the vicarious institutes scattered around in scenery like that, of the Scottish Highlands. The most important institutes are those of bacteriology, directed by M ajor-General Li Chen-Pin, and of nutritional sciences, under Dr. Wan Hsing, Li Chen-Pen, when at the Rockefeller Institute in younger days, carried out classical work with T. M. Rivers. Rivers and Goodpasture were the cultivate viruses on the chorio-allantoic membrane of the thick embryo; Rivers and Li were the first to cultivate them (vaccinia and yellow fever) on explanted fibroblaets. Yellow fever vaccine is still prepared in this way. Unfortunately, lack of equipment prevents much research in three institutes. though manufacture of Vaccine goes on. The pharmaceutical institute maintains a model factory in which there is a certain production of drugs, and there is a good pharmaceutical garden and farm under Dr. Kuan Kuang-Ti. The Army is planting in Szechuan hundreds of thousands of saplings of the tree Dichroa febrifuga, from which is derived the drug ‘changshan’ known in the Chinese pharmacopceia at least as far back as the Sung dynasty, and recently found in both London and Chicago to have a parasitocidal action in animal malaria. One of the best types of institution in the Chinese development of the sciences has been the provincial science institute. Reference has already been made to certain of these seen in other provinces; but the one at Kweiyang, directed by Dr. Ling Shgo-Wen, from the Emergency Medical Service Training school, was extremely good. For popular education there were really good exhibits of parasitology, highway engineering, war gases, embryology (including man)? geology and mineralogy, and nutrition. A splendid room, prepared by Mr. Liu Ting-Wei, a great authority on the subject, demonstrated the life-cycle of the Kweichow wax-insects, allied to aphids. This indigenous industry gives a large annual production of highest-quality wax, and both the insects life-cycle and the industrial methods are very curious. The Provincial Science Institute also manufactured scientific apparatus for schools, and had been planned with spacious centralized laboratories for school practical work; but in war-time it had proved impossible to equip them. If the exhibitions at the Kweiyang Science Toqtitute were the best I had seen the apparatus manufactured at the Kuangsi Science Institute was the best of its kind. A good many reading machines, for use with the microfilmed journals sent out by the British Council and the State Department of the United States, have been made here. The Institute, which had an excellent building, adjoined those of Kuangsi University (president Li Yun-Hus, a. chemical engineering) around a sloping oatch of grass in the hills, rather resembling an English village green, at Liangfeng, some 25 km. south of kweilin. 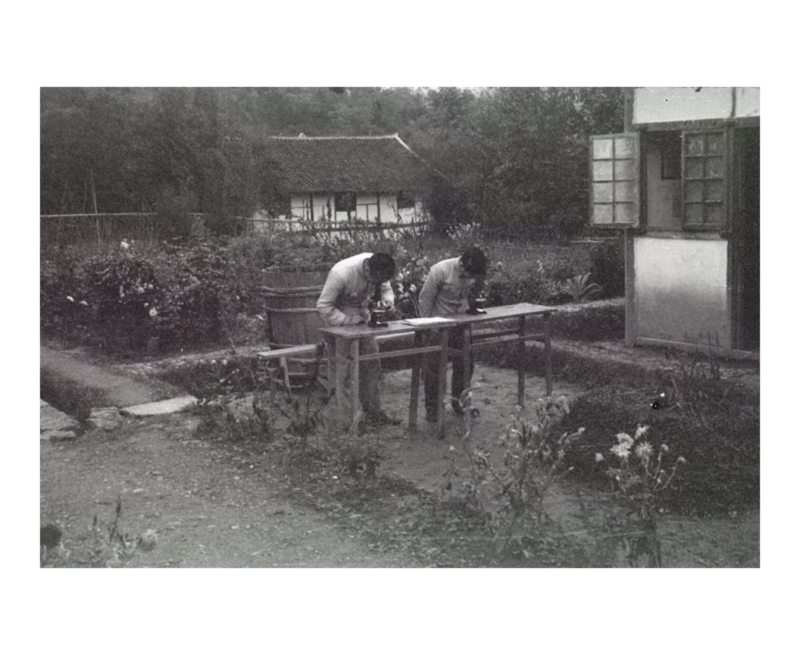 Near by, among groves of pine trees, were the wooden buildings of the Academia Sinica Institutes of Geology (under the internationally known Dr. Li Se-Kuang (J. S. Lee), of Physics (under Dr. Ting hailing), and of Psychology ( under Dr. Tang Yueh). When I was there, Dr. Li was particularly interested in the distortions produced in stone under glaciation, analogous to the ‘bending’ of tombstones, etc. Work was proceeding on palaeobotany (Sse Hsing-Chien), Kleintektonik (Chang Shou-chang), and mineral ore structure (Wang Yin-chih). 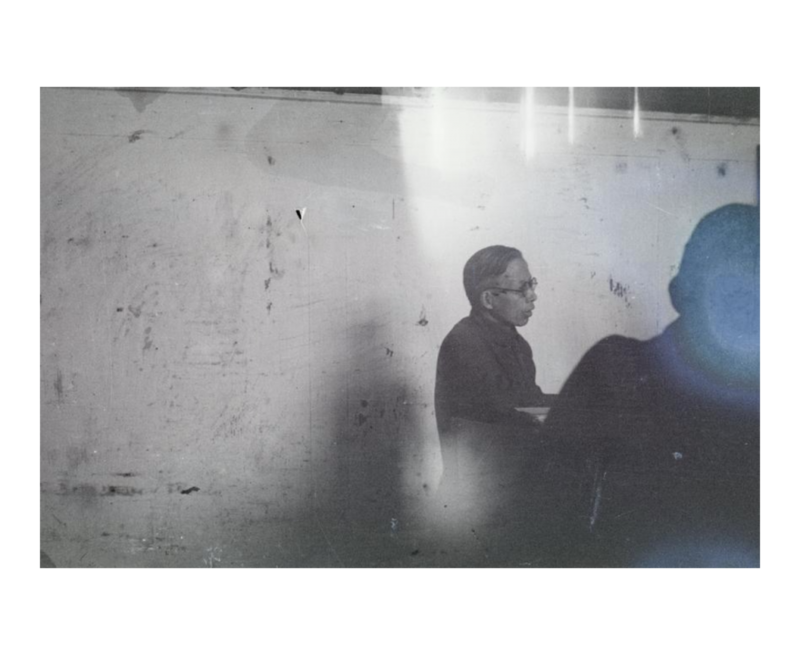 Associated with Dr. Ting was Dr. Parker Chen (Chen Tsunq-Chi), the well- known former colleague of Sven Hedin. Away in the hills a very fine terrestrial magnetism station was working ; located in a specially built non-magnetic and thermostatic house, it took continuous photo-graphic recordings of ail three elements, and possessed excellent apparatus, some of it made in the Institute’s own workshops. The smallest of the three institutes was that of Psychology (really developmental physiology of the nervous system); Dr. Tang was carrying out transplantation on the beautiful transparent tadpoles of Microhyla ornata. There was a particularly good library of neurology and experimental morphology, housed in a separate building. Probably the best scientific department of Kuangsi University was that of chemistry. Here Dr. Amos peng (peng Kuang-Chin) was working hard with his group on the indigenous plants which contain rubber in their sap. Several useful new sources in Kuangsi have been found, notably the climbing fig pumila and the giant vine Chonomorpha? macrophylla. Many experimental articles have been made from these rubbers. The other most outstanding scientist institution in Kuangsi province was probably the Ministry or Agriculture’s Experiment Station at Shatang, near Liuchow, covering 7,000 acres and comprising many good laboratories. Directed by Dr. Ma Bao-Chih, the translator of Sturtevant and Beadles and other important books, it was a scene of great activity. Choosing at random from among the divisions, Dr. Huang liang (economic entomology) demonstrated the bamboo comb designed for use by the farmers to get the catorpillars of the rice skipper, Parnara guttata, off the rice plants, and the box coated inside with a sticky mixture of pine resin and teaseed oil for getting the flea beetle. Phylloireta wittata, off the cabbages. Dr. Chang Hsin-Cheng (a pupil of Walesman) demonstrated the production of inoculum of root-nodule bacteria. Particular attention was being paid to sugar-cane improvement, tung-oil tree (Aleurites fordii) culture, rice selection, and storage of citrus fruits. Dr. Huang Rjui-Lun had shown that during the storage of the pomelo or ‘yudze’, the ascorbic acid content actually rises, up to a maximum. Attention was being paid to naturally occurring insecticides. Circumstances have forced me to make considerable use of the past tense in tiffs article. It will be remembered that in law year’s campaign, the Japanese from Changsha as a focus on the southern edge of the Japan-held north-east quarter of China, pushed down to Hengyang, cutting off the far south eastern provinces, and then successively down to Kweilin, Liuchow, and Nanning, thus acquiring a corridor with Indo-China. 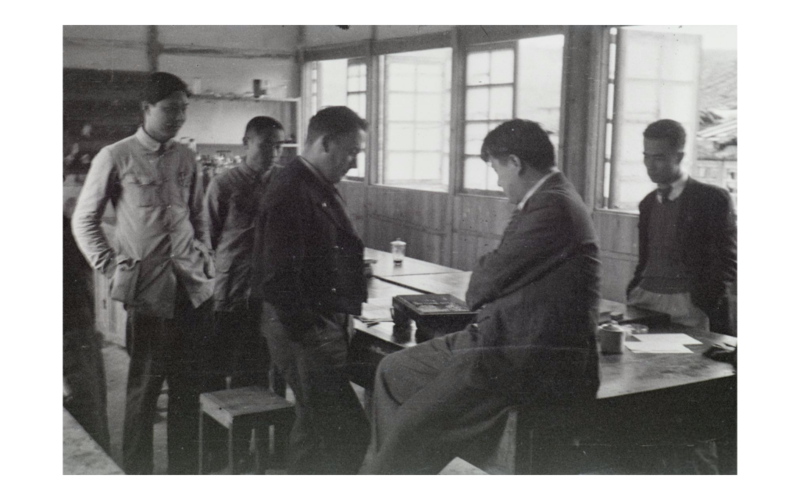 From Liuchow they pushed up the railway to railhead at Tushan and a little beyond, but stopped at the frontier of Kweichow, not however without having caused a partial evacuation of Kweiyang, What happened to the scientific workers? It is sad to have to record that Liangfeng centre was practically destroyed. The Academia Sinica Institute evacuated their personnel to Chungking, but lost a great deal of apparatus which could ill be spared. The Library of the Institute of Psychology was almost completely lost. Kuangsi University personnel were evacuated into the mountain west of Liuchow and have not been heard of since. B0th the Provincial Science Institutes were ruined, that at Liangfeng by the Japanese, and that at Kweiyang, with its laboriously arranged exhibitions, by having Chinese troops quartered in it and being “put in a posture of defence”. The Shatang agriculture station was overrun; but it is believed that the records were evacuated in time. It is to be feared that some scientific workers and their families were caught in the congested refugee areas at railhead, where the mortality was appalling. I myself met Mrs. Chou, the wife of the Fukienese physicist Chou Chang-Ning (a Cavendish man), on the station platform at Liuchou just before the fall of Kweilin, and did what I could to assist the onward journey of her and her children. Fortunately,Tsunyi,meitan,and Anshun were not affected; but Kweichou University was, the students and professors simply setting out to work,carrying what books and apparatus they could, as if? it were thousand years ago. This University has now reassembled at Huachi. Hsiangya and Kweiyang Medical Colleges, however, managed? to secure some truck transport and moved to Chungking, where they are remaining? for the time being. Western Kuangsi was recaptured early this year from the Japanese, but in a ravaged state. The city or Liuchow ,for example, was burns to the ground. The scientific development of these provinces was just in its opening phase, stimulated by the evaluation from the coaxial cities; it has been distressing to see so cruel a frost nip it in the bud.